The Washington Post’s Greg Miller reported Sunday that President Donald Trump’s confiscation of the translator’s notes from a one-on-one conversation with Russian President Vladimir Putin in 2017 was “unusual.” This is incorrect. It was unprecedented. There is nothing like it in the annals of presidential history. Graffiti reading “50 years of resistance: Popular Front for Liberation of Palestine” is seen on a wall in Issawiyeh. 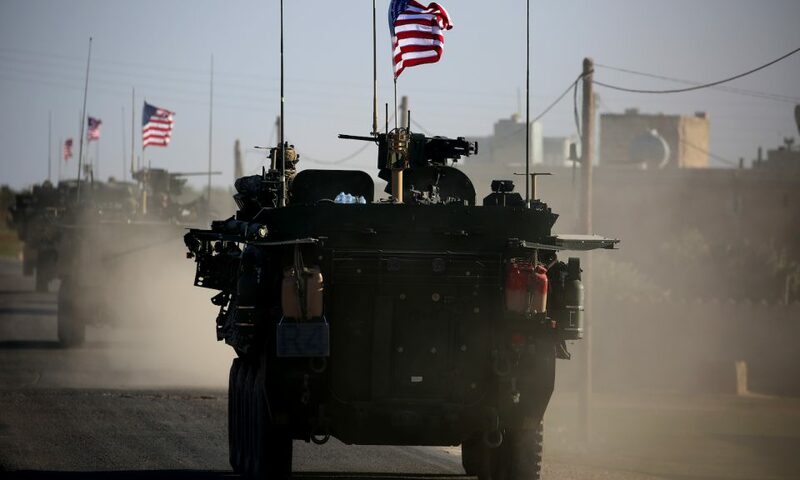 Despite the repeated demonstrations of the fact that the United States and other Western nations have armed, supported, and funded terrorists in Syria from the beginning of the crisis in 2011 as well as long before that crisis had taken shape, official pronouncements admitting to funding those terrorists made by Western governments and reported by mainstream media outlets should not be dismissed simply because their actions are now common knowledge. After all, these incidents generally involve much more important revelations than those admitted to by corporate media. January 15, 2019 (Tony Cartalucci – NEO) – An “independent national institute founded by Congress and dedicated to the proposition that a world without violent conflict is possible,” would be the last place you would expect to find calls for continued war. Tonight will see Britain’s parliament finally vote on Prime Minister Theresa May’s proposed deal with Brussels on Britain’s exit from the European Union (EU).